Recently, we wrote a post about the visual system – what it is, why it is important for child development, and what you can do to support it in your child. The eye and the brain communicate and work together to help us interpret our physical surroundings using sight, or what we see. The visual system is important for healthy sensory processing because it helps us to assign meaning to the objects we see in our environment – What color is it? How big is it? How close is it to me? 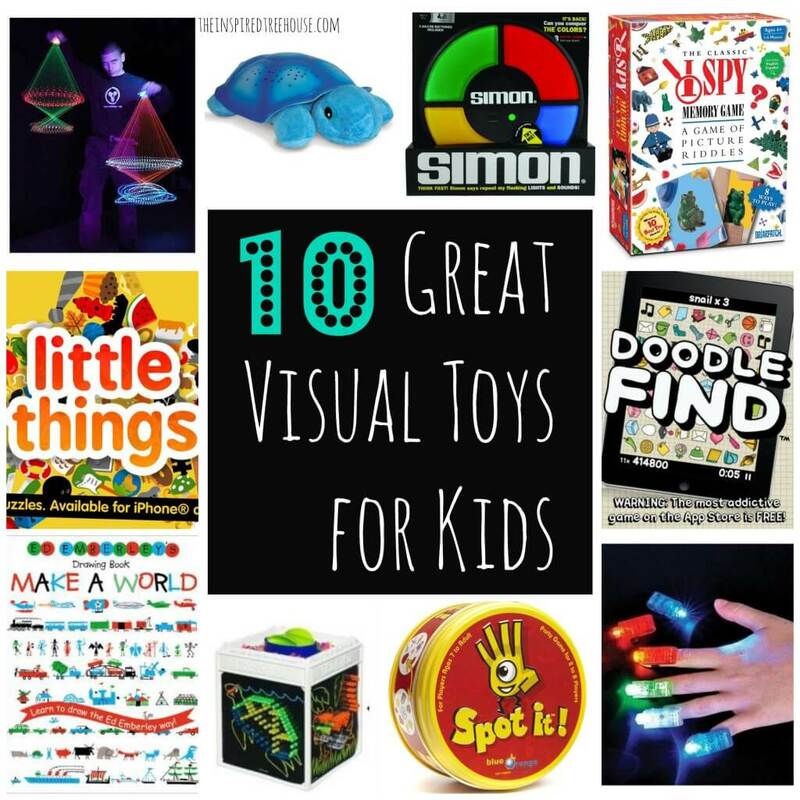 What better way to help kids develop their visual systems than by playing and exploring with some great visual toys! Here are 10 of our favorites! Astrojax Saturn Blue Diamond – A souped up version of a yo-yo, these weighted balls light up like stars and can be used for all kinds of fun tricks! Constellation Night Light – Looking for calming activities to help kids get to sleep more easily? How about some star-gazing, right in your own bedroom! Simon – Another old favorite, Simon is a fun and simple visual memory game with the appeal of lights, sound, and color! I Spy Memory Game – If your kids like the I Spy books, they’ll love this game too! We love how there are a few different ways to play to accommodate different skill levels, from a simple memory/matching game to more complex games with riddles and teamwork. Little Things App – A dynamic, visually appealing game of I Spy for your iPad or phone. An awesome visual discrimination game that will keep little ones entertained in a waiting room or restaurant! Doodle Find App – Kids have to quickly scan a screenful of objects to locate the target object – a race against the clock to see how well they can identify pictures with a competing background. Ed Emberley’s Drawing Book: Make a World – Using simple lines and shapes with a step-by-step approach, this book teaches kids how to draw over 400 images – including an airplane, a train, animals, and more! Lite Brite Four Share Cube – We like how this version of an old classic toy can be used by more than just one child at once – and it provides awesome visual stimulation with lots of color and light! Spot It! 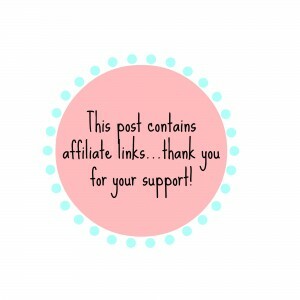 – Between any two Spot It cards there is always one and only one matching symbol. Kids have to be the first to spot the matching images to win! LED Finger Lights – These colorful lights come with elastic bands that attach right to kids’ fingers. Try doing your favorite finger plays, like The Itsy Bitsy Spider with a visual twist! Looking for more information about sensory processing and more awesome toys and products for kids? Check these out!